Leave your locked out days behind with this classy, colorful keychain. 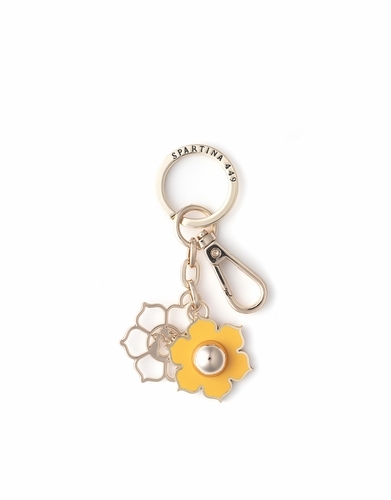 Charming details will ensure you never forget your keys again. Enamel and gold tone magnolia charm.